Why Start-ups should use print marketing? When starting a new business it is imperative that you get in front of your target audience. You need to ensure that you raise brand awareness and awareness of your products and services. In today’s technology driven world your first thought may be to use digital marketing channels such as social media and while digital channels certainly should have a place in your marketing strategy, you shouldn’t overlook traditional channels such as print marketing. With the rise in digital marketing in recent years, it has become a crowded marketplace and it can be easy for your message to get lost amongst all the competition. Your potential audience is likely to see hundreds of adverts each week either on the TV or on the internet and will inevitably ignore a significant percentage of them. Print marketing while not a new concept, it is one that can often be overlooked in favour for digital channels. However, printed materials and adverts can help your business gain recognition, increase brand awareness and drive sales, often more effectively than digital alternatives. Let’s take a look at why start-ups should use print marketing. While we are not denying that digital marketing can be targeted, printed media such as leaflets or postcards can be distributed in specific geographic areas through a direct mail campaign to ensure the right people see it. This not only increases awareness of your start-up business, it also increases the likelihood that the recipient will act upon your call to action. One of the main benefits of print marketing is that it is a physical thing you can hold and most importantly keep in the house. With digital marketing once the advert has been seen, unless the person acts upon it immediately it can easily be lost, whereas a leaflet can be kept on the fridge or in a draw and is easier to locate when needed. If you think about how many TV adverts or online adverts you see each week in comparison to how many printed materials or adverts you receive, it’s considerably less. Printed adverts and materials tend to stand out to a potential customer far more than a digital advert as it is uncommon, much like when we receive a letter rather than an email. 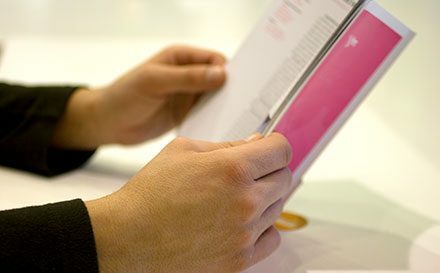 Whether you use leaflets, brochures, postcards or any other type of printed media make sure it is easy for your audience to read, think about the font size, how you will use typography and the overall design of your printed media. It is important that your message is clear and communicates your key message and call to action.